We’re deeply honored to be selected as the exclusive analyst advisor to the Obama administration on offshore outsourcing issues. As part of the contract award, the Horses analyst team will be invited to quarterly white-boarding sessions at the White House to discuss the latest market dynamics in IT outsourcing and Business Process Outsourcing, in a quest to help the administration make onshore locations more competitive for white collar jobs. The contract will be ongoing until the next US general election. 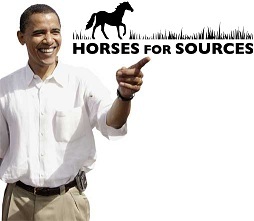 President Obama personally tweeted the news of the announcement to Horses for Sources CEO, Phil Fersht, this morning. “It was most appropriate to receive this contract award via a tweet from the President”, stated Fersht earlier today. “We are deeply honored that the Obama administration has selected us as its advisors – we hope to host a guest blog from the President soon where he will succinctly set out his agenda to bring more white collar jobs back onshore. We assure all our readers that we will make every effort to avoid any grammatical errors, or spelling mistakes”. 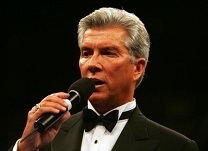 Horses for Sources successfully beat the Black Book of Outsourcing to secure the contract in a bake-off aural that was supervised by Vice President Joe Biden and Michael Buffer. Dude! Awesome! Now you have to explain the Systems In Motion business model to them and show the administration the path to merging US enterprise value creation and US job creation! This is indeed great news... Congrats.. I see what you did there. Well played sir, you win the interwebz. Onion-worthy post. Phil, congratulations. That's a great honor and responsibility. Look forward to you and your team getting buyers to consider the onshore alternatives. Your selection was obviously made based on a flawed research and assessment process. There is only one two voice on outsourcing. We shall draw you into the wilderness of the Woodlands and smite you there, evil foe. Then this land's future greatness can be assured through aggressive labor arbitrage, access to highly skilled and motivated third world talent, and an abundance of turnkey, platform based, innovation delivering, standardized SaaS BPO solutions. Phil - congrats - let me know if you need some good fictitious supporting research to support your efforts. Phil, That's a great news! In such a short time (a month) of opening your shop as an analyst firm, getting a contract at the highest forum is a paramount success. We, at Ephlux wish you all the best with this contract and future engagements. Haha...Phil, I look forward to a headline just as big tomorrow making it clear this is an April Fools. If the administration is Tweeting contract notifications (I assume it was a direct Tweet), they've done a terrific job streamlining the purchasing process! What's the date today? This is unbelievable. No, I mean truly unbelievable. Well done! Phil- Congrats!! This is great News!! Excellent! It's great to see the administration focused on the domestic onshore market and the exceptional value proposition that firms in this market provide. Good luck Phil. You did it again ! "Happy April Fools Day !" Phil - Congratulations. Thats an excellent achievement. This is an April Fool's issue - right???? This is wonderful - congratulations! Wow! Phil. I love your annual April Fool's pranks! Wishing you great success with the new venture! Given the coastal erosion due to the storms of the last few days, I'm afraid Connecticut and New York will have an even harder time getting jobs back on shore. Clearly we need more shoring up and I'm confident Horses for Hauling is just the group to get that done! The facts are that - unless they are liars - the Obama administration is no friend of outsourcing, no matter how good it is for US businesses and - crucially - no matter how important it can be in cutting government costs. Even if they did believe in outsourcing there is no way that they will confront the unions and start handing work to the private sector (onshore or offshore). Look at what they have just done to Student Loans. And any action will fall into the "not in my lifetime" category. Good luck, impressive win, keep us posted on the progress, but don't expect a Damascene Conversion. I totally fell for this! Very funny. I feel a bit like Joe Biden must have done when he asked Chuck Graham (wheelchair-bound Dem Senator) to stand up and show the crowd who he is! 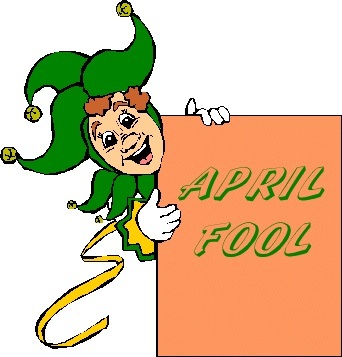 Best April Fools day prank ! I was totally fooled... was JUST ABOUT to forward to people in my organization when I scrolled down and saw the APRIL FOOL pic. Duhh! Here's your April Fool :) But I still believe you can have the real deal by next April 1st. Keep up the great work! Last year he banned offshore outsourcing, this year he's busy promoting onshore locations for outsourcing. A consistent theme and again a good April Fool's joke! Wishing you great luck on your new venture. If you do happen to get a call from the White House on this very imporant topic, we would have loved to share our views that it doesn't always have to be an offshore - onshore battle and outsourcing can be a way to create jobs by outsourcing spending. Procurement outsourcing is an example. Companies are looking for new ways to tackle that feat of growing margins while continually reducing costs, PO has emerged as a way to realize hundreds of millions of dollars in savings that can actually be reinvested in jobs and innovation. The simple fact that outsourcing has the ability to create American jobs begs reconsideration by the C-level. I look forward to your thoughts and of course next year's April Fool's blog. Great post - thanks for lightening up my day - and reminding me that I failed to get in the spirit of the day. Next year! OK, got me. I'm reminded, however, of the Shakespeare quote (roughly) "What's said in jest is oft meant in truth". So - why not?